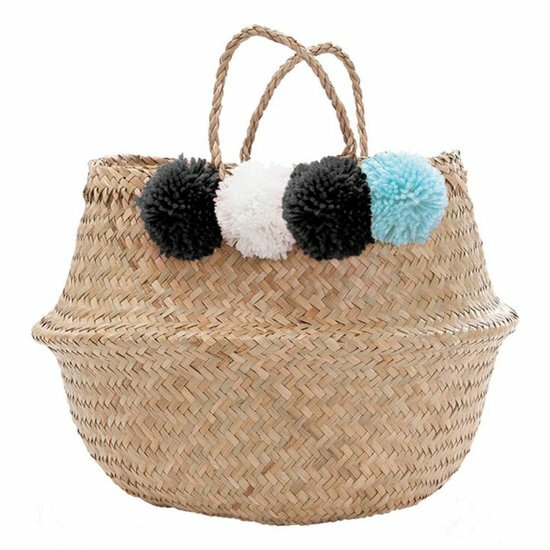 Handmade seagrass belly basket with black, white and light blue pom poms made from 100% wool. 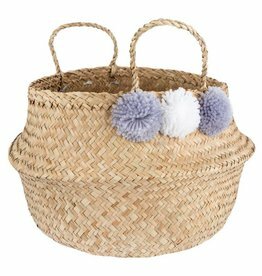 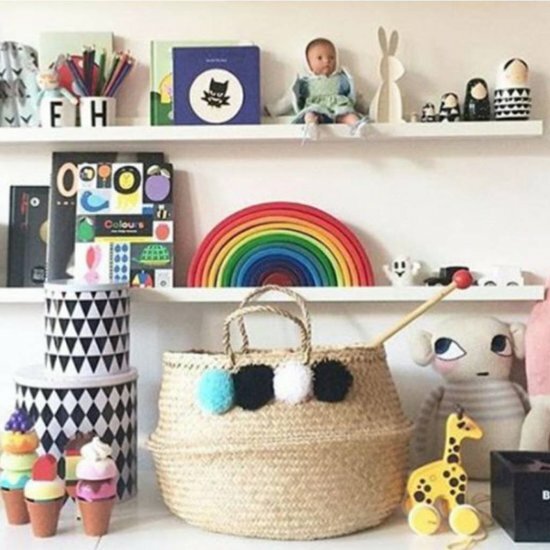 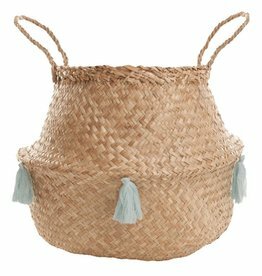 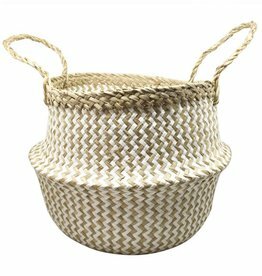 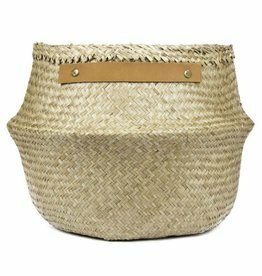 The multifunctional seagrass storage basket has been hand-crafted in Vietnam under fair trade conditions and is perfect for storing toys, magazines, books and much more. 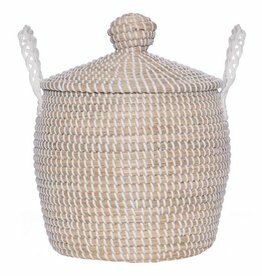 A beautiful accessory for your home.